All you need is a computer with a webcam. 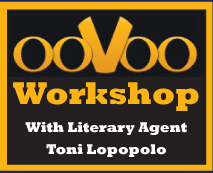 ooVoo is like Skype, only clear and able to make Toni Lopopolo and fellow writers visible to the entire workshop. The download is free, easy to install and simple to use. Writers will see each other, talk, exchange comments, and much more. Each week you submit up to eight pages. Your writing will be edited by Toni and by each of the other writers; you will edit theirs. Your writing will be read aloud, discussed and critiqued during the session. You will see your writing skills go up three to five levels. Sharpen your writing skills and ability to self-edit with guidance from a former Executive Editor at Macmillan and St Martin’s Press. Toni Lopopolo, literary agent, works daily with publishers and knows what they want and what they require from new authors. How to narrow the lens to achieve focus for today’s readers. Writing a memoir? 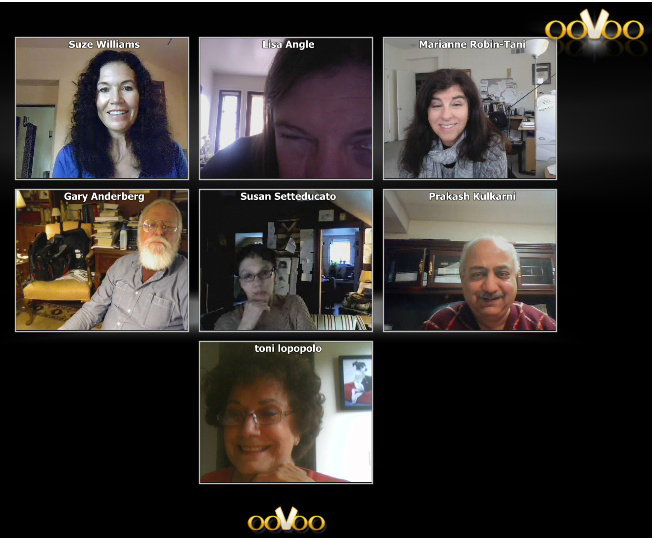 Join the online memoir class. Once a writer’s place is reserved, the workshop fee is nonrefundable. Missed workshops or single sessions may be made up within 60 days of original date.